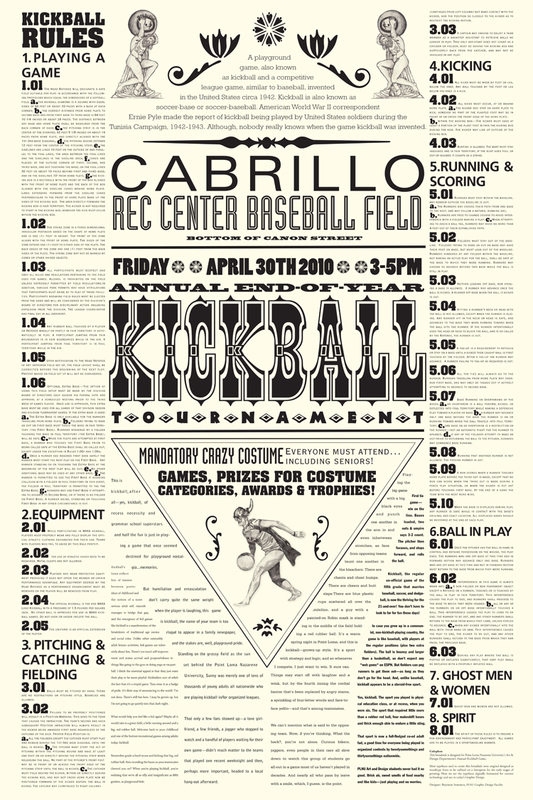 The Kickball Broadside (24” x 36”) uses mostly wood type and some metal type that all originated for use on the letterpress prior to becoming digital. The drawings are hand rendered and it is stylistically set to look like a “old-fashioned” broadside. Everything is justified with equal letter spacing (a typographers nightmare) but with tedious kerning and tracking it all worked out.